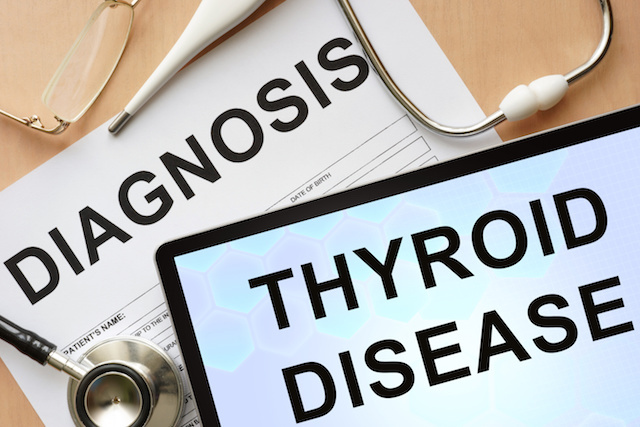 Hashimoto’s Disease also known as Hashimoto’s Thyroiditis is an autoimmune disorder in which the immune system attacks the thyroid gland, eventually leading to hypothyroidism. Hashimoto’s does run in families as a genetic trait and seems to be more predominant in females. Proper Hashimotos testing is important for a diagnosis and will help in determining effecitve treatment options. The TPO and TGab are antibodies present in Hashimoto’ s. In about 70-80% of people with Hashimoto’s, the TPO antibodies are present. In about 15-20% of patients with Hashimoto’s disease the TG antibodies only are present. The presence of TPO and TG antibodies together is much less common at about 5%. It is important to not only to test for TPO but also the TGab because a portion of the population with Hashimoto’s could be missed. Also the higher the level of circulating antibodies can contribute to more symptoms in Hashimoto’s, meaning that monitoring the antibody levels is helpful for treatment. The TSH is a signal from the brain to the thyroid in order to get the thyroid to produce or not produce thyroid hormone. If the thyroid gland is under producing thyroid hormone then the TSH increases. If the thyroid gland is overproducing then the TSH decreases. The reference range for TSH is misleading as many people can fall into range and have hypothyroid. If a person’s TSH is 2.0uIU/mL or higher, it is important to further investigate as this indicates hypothyroid, Hashimoto’s or decreased thyroid function. Free T4 is mainly made from the thyroid gland and it is a very stable molecule. It has a long half life, close to 7days and really has very little activity. Free T4 is needed to convert to Free T3, which is the most active of the thyroid hormones. Free T3 is the active form of thyroid hormone, so it is important to make sure it is in the proper range. A person with a good level of T4 but with a low T3 will still have hypothyroid symptoms. This reference range for free T3 is very vast. Any free T3 under 3.0ng/dL is going to have hypothyroid symptoms. Having the free T3 at 3.8-4.4ng/dL is ideal for thyroid function. Reverse T3 is a inert, inactive thyroid hormone. In cases such as Hashimoto’s, T4 mono-therapy, starvation/caloric restriction diets to name a few, the FT4 will not convert to FT3 and instead to RT3 thus, causing the person to have more hypothyroid symptoms. Often in Hashimoto’s disease the hemoglobin and hematocrit (the iron that is available for use right now) is normal but the total serum iron is low. When the total serum iron is low that can cause fatigue and symptoms associated with iron deficiency anemia (IDA). But as stated above, the hemoglobin and hematocrit are normal, which is what most doctors test for when looking for IDA. The TIBC tends to be elevated in Hashimoto’s disease. The TIBC is the ability for the body to bind/absorb iron. If the total serum iron levels are low then the TIBC would be elevated because the body is desperately trying to locate and bind iron. Ferritin is a protein that binds to iron and can often be low in Hashimoto’s disease. Ferritin, like the serum iron is important in our iron-stores. If we do not have good iron-stores independent of hemoglobin/hematocrit then symptoms of iron deficiency anemia manifests. Also making sure your iron-stores are adequate is important should an accident occur where there is a lot of blood loss. Acute blood loss can be a serious disaster if one does not have enough iron-stores like ferritin and serum total iron. The blood tests listed above is a comprehensive list in order to properly diagnose and treat Hashimotos disease. Let us know if you have any questions.